Granite Countertops in Kitchen, Bath and Laundry. Soundproofing between walls. Master Bath Rain Shower with body spray. Crown Molding. Over 9' ceilings. High speed elevators. Kitchen Aid Appliances. Ceramic tile veranda. K5 wired. Central Vac. Hurricane Impact Glass. Security Gate. 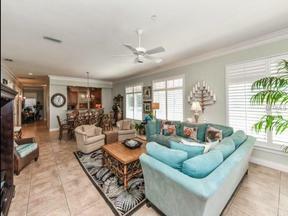 Fully furnished with rentals booked for 2019.FREE Trolley for the Island and it is right out front! Walk a block over to the famous Beach Bistro known for their great food and dining experience. This 11 unit complex is directly on the beautiful beach in Holmes Beach on Anna Maria Island.